This is my favourite Italian salad and topping for pizza (Pizza Caprese that is). It is a very simple salad that does not really call for a recipe. Add a dash of this and a dash of that, combine and serve. Extremely quick but amazingly fresh flavours! 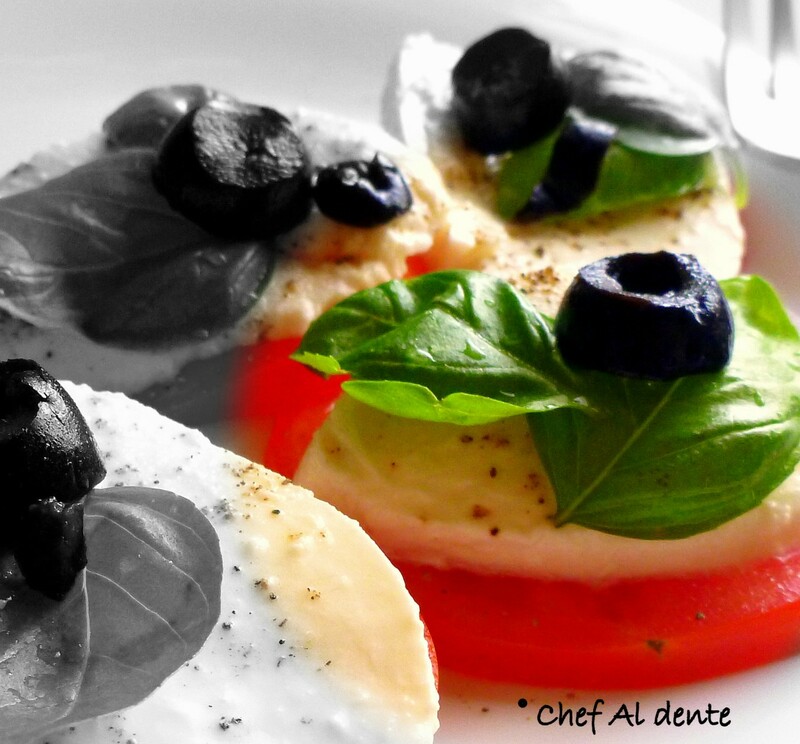 I love buffalo mozzarella cheese but the fact that it is cheese always makes me reluctant to use it quite often. We normally think fats are bad. But fats are also necessary for our body to help perform some basic functions. So having cheese has its own health benefits especially when had fresh (i.e. without heating it at high temperatures). Being rich in high quality protein and calcium it is important in vegan diets. Calcium helps prevent dental cavities, promotes bone health and also prevents osteoporosis. Cheese is also rich in vitamin B12 which is something vegetarian diets usually lack in. Along with this, cheese (especially aged or hard cheese) is excellent for people with lactose intolerance as it has considerably low amounts of lactose when compared to milk. Having said this, it definitely has fat so 'moderation' is the key word here. Enjoy cheese but in limited quantities so that you can benefit from its good side as well. Place the sliced tomatoes onto the serving dish. 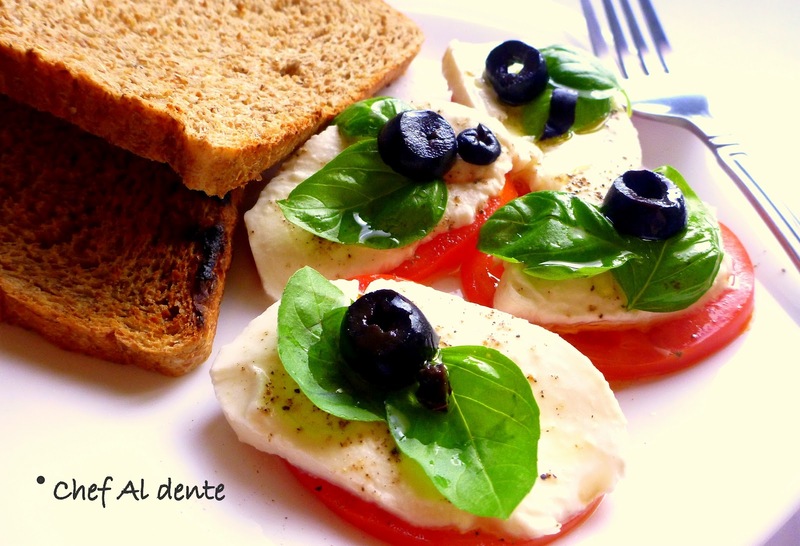 Add a slice of buffalo mozzarella on top of each slice. Sprinkle salt and pepper. Garnish with basil and olives. 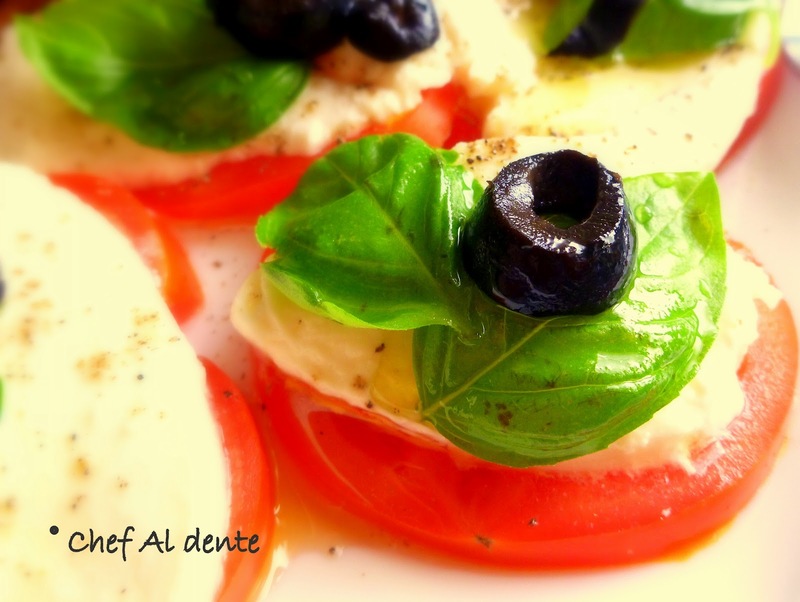 Drizzle a generous amount of olive oil all over it and enjoy fresh. How easy is that?! Super delicious and yummy !! 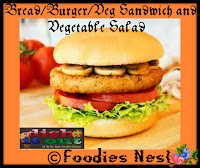 Delicious and Healthy sandwich.Perfect snap.Thx for linking to the event. Elegant and I might add, lovely photos. I bet these little bites would be good topped with fontina cheese too.